Summer finally decided to show up last Saturday, but the triple digit heat didn’t deter 1,200 thirsty Angelenos from heading downtown to attend the inaugural L.A. Craft Beer Crawl, a collaboration between 213 and the Beer Chicks (Christina Perozzi and Hallie Beaune). 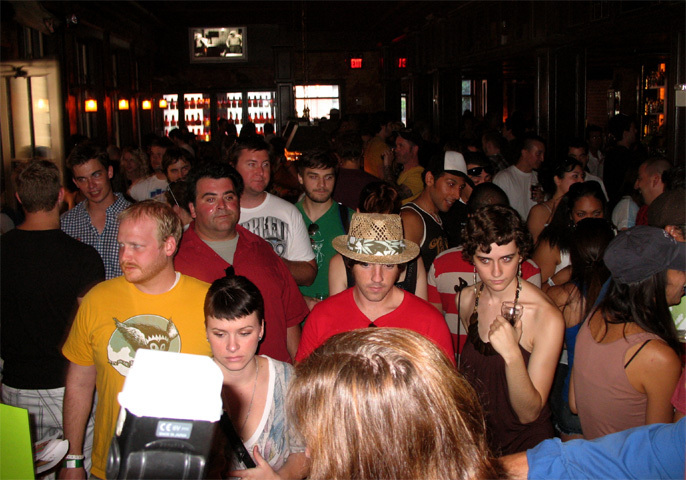 The sold out event took place at seven of 213’s bars, where Crawlers could sample dozens of beers from 20 breweries. The selection of beers that Perozzi and Beaune had compiled for the Crawl was impressive, as evidenced by the number of breweries that were awarded medals at this year’s Great American Beer Festival. My partner in crime for the Crawl was Justin Sloe, DJ extraordinaire and craft beer expert (not necessarily in that order). 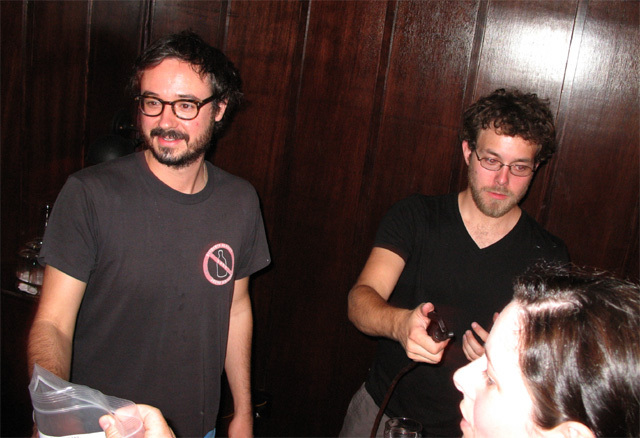 Media check-in was at Seven Grand, where Sloe and I met up to get our wristbands, map and 6-ounce tasting glasses. The Manila Machine (one of several food vendors selected for the Crawl by LA Weekly’s Jonathan Gold) was parked in front, but we didn’t have time to eat; there was beer waiting for us upstairs! At Seven Grand, Crawlers queued up for Craftsman and other top breweries. 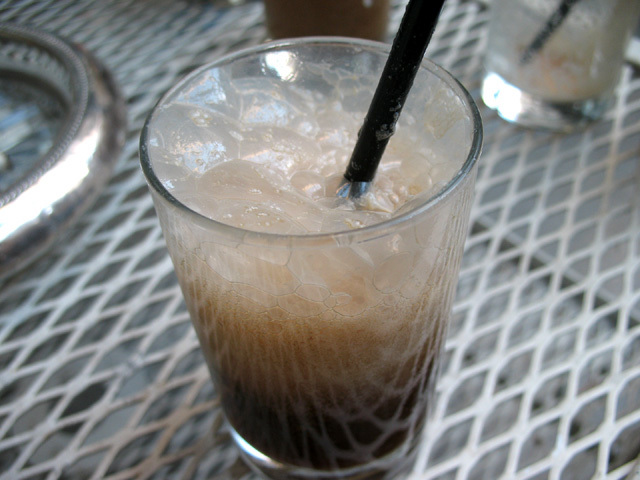 A beer float made with Maui CoCoNut Porter, perfect for Caña's patio. 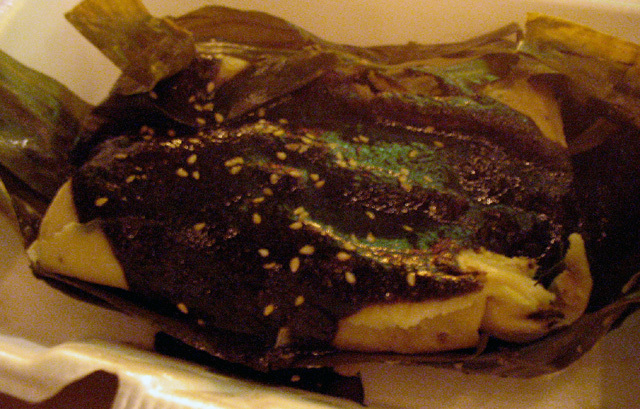 Guelaguetza's chicken tamale with black mole. 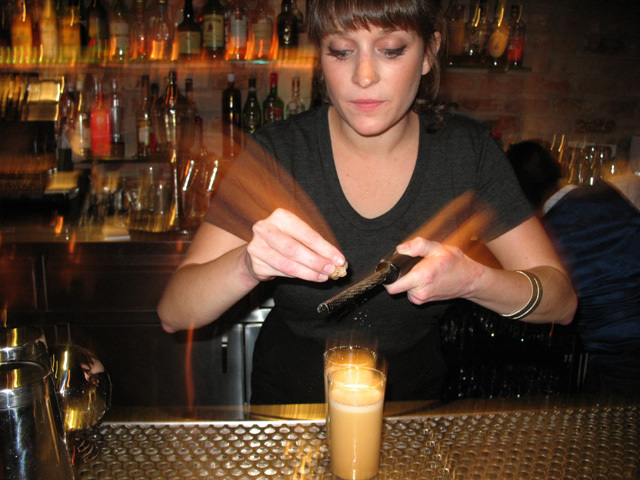 And then, who should we see at the bar but the Mezcal Muse herself, Bricia Lopez. She was at Las Perlas to oversee the Guelaguetza station, which was serving chicken tamales with black mole on the patio. While Sloe and I sipped our beers, Bricia graciously brought over two boxes for us. We gratefully inhaled the delicious meal, a perfectly timed respite that fueled us for the remainder of the Crawl. The Hot Knives, Evan George (L) and Alex Brown (R). The Double Black Diamond: so nice, we had it twice. Devon Tarby puts the finishing touches on our Double Black Diamonds. TAPS Brewmaster Victor Novak was also at the Varnish, pouring directly from hand-labeled bottles. We did get a taste for one of our glasses, but the Double Black Diamonds were calling us again, this time mixed by Varnish GM Chris Bostick. We didn’t try the Picon Bière (TAPS Belgian White, Torani Amer, lemon juice, sugar), but it would have to be a beer cocktail of biblical proportions to surpass the DBD. 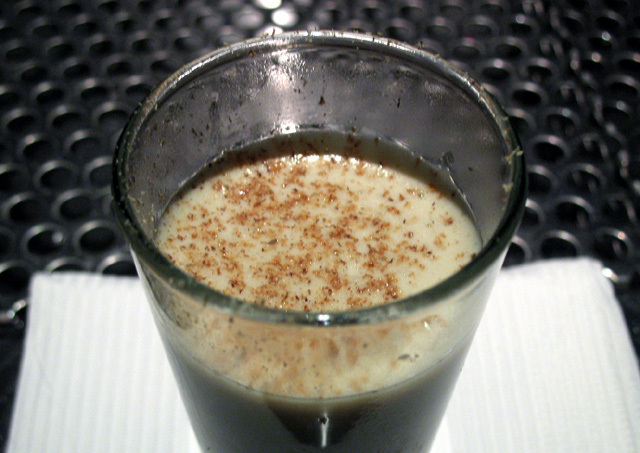 Chris Bostick prepares a Picon Bière. And with that, the Crawl over and it was time for the lights to go down for regular service. Of course, since we were at the Varnish this also meant it was time for a round of cocktails, courtesy of Sloe. 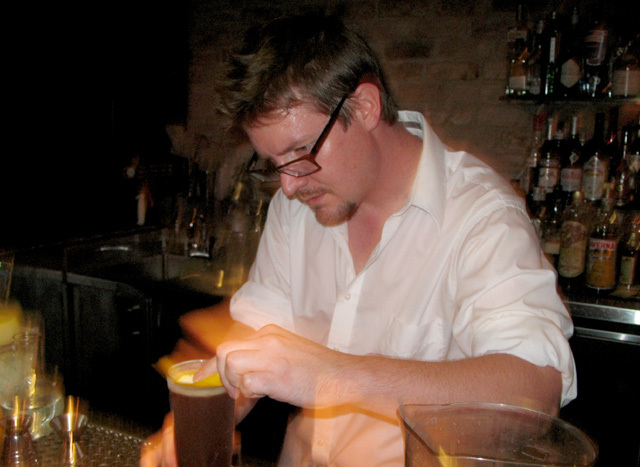 Alex Day was now behind the bar, and it was great to introduce him to Sloe, who remarked that he loves to watch someone (of any profession) working at the top of their game. Sloe thought his tequila drink was “delicious,” and even though I missed the cocktail’s name, with its use of mezcal and flamed orange peel I’d guess that it was a Oaxaca Old Fashioned. As for me, Day made a Left Hand (bourbon, sweet vermouth, Campari and mole bitters) that hit all the right flavor notes, something I could still appreciate even after a day of sampling so many great beers. Cheers to 213 and the Beer Chicks for putting together a successful Beer Crawl. Here’s hoping it’s the first of many!